Adventure Unbound sprang out of the desire to create a dedicated home for tours crafted in an unbounded spirit of adventure. For years, people have known us as ROW Adventures (which isn't going away) but the name "ROW" undoubtedly caused some confusion. We would often get comments like, “Where do you guys raft on the Galapagos Islands?” Or, our favorite, “You do trips on the Inca Trail! We didn’t know you could raft there.” We recognized that our ROW brand should never go away – in fact, we should strengthen it as purely a rafting brand, so we did! In doing so, we created Adventure Unbound for everything we do outside of river rafting! It has been the lifelong passion of Peter Grubb and his wife, Betsy Bowen, to found and grow the company. They have dedicated their souls, hearts, and lives to sharing enriching, life-changing adventure travel experiences with others. Their own devotion to providing our guests with the best possible adventures around the globe has been answered by the trust of travelers who continue to share their adventure travel dreams with us. We’ve earned this trust over the years with our intimate, personal connection to each adventure we offer. Peter and Betsy personally research and develop all of our itineraries with the same care and passion we set out with. Though ROW began with an emphasis on white water rafting trips, we’ve expanded and now offer an array of adventures around the globe. Our ambition to travel the world unbounded gave creation to Adventure Unbound’s heart and mission. The inspiration for Adventure Unbound can most likely be traced back to a childhood where travel and love of nature were valued above all else. 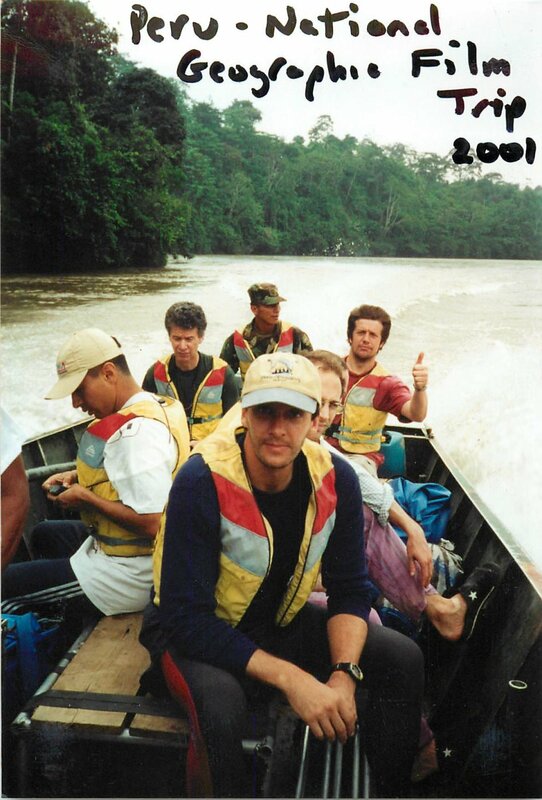 Peter’s adventures back in his younger days prompted a number of our destinations and river journeys. Inspiration really struck, however, when Peter, fresh out of his sophomore year at St. John’s College in Annapolis, spent the summer of 1978 leading 111 one-day trips as a whitewater rafting guide in West Virginia. Peter fell in love with rivers and the sense of freedom and exploration he felt while paddling them. During his early guiding days, he dreamed of leading longer trips that took people further out into a wilderness environment—trips built on connection, both to those he was guiding as well as the places they were paddling through. He followed this dream to Idaho, where miles upon miles of whitewater were waiting to be paddled. Peter joined up with a company named ARTA, who subsequently set him up on a guide training trip spent on the waters of the Colorado through the Grand Canyon. Work also took Peter on several Californian rivers including the Tuolumne, Stanislaus, and American. 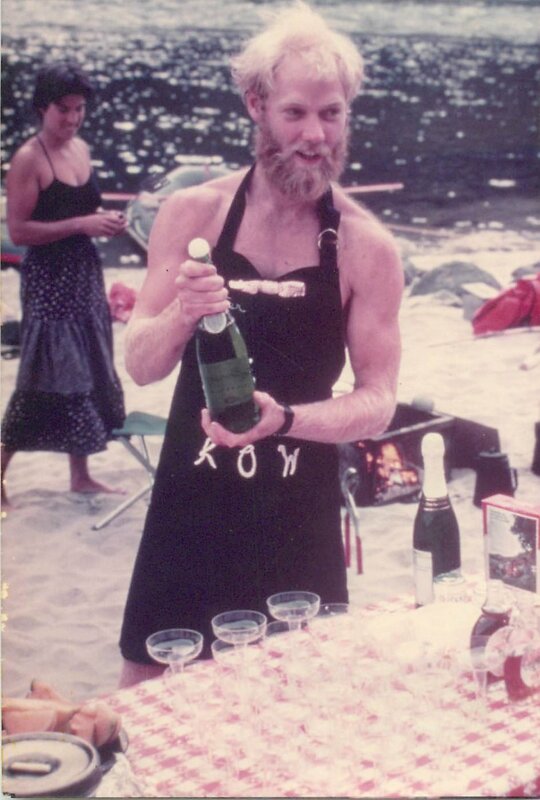 By mid-June of 1979, he was back in Idaho and guiding six-day trips on Main Salmon and Middle Fork Salmon. The exciting, sun-drenched (and water drenched) days were full of an education only the river can provide. By that fall, Peter had about made up his mind to start up an adventure travel company. He headed out on a backpacking trip up in the Sierra Nevada Mountains to reflect on the decision among the best listeners: trees, rivers, and wildlife. He returned convinced and by November Peter and his brother, David, founded ROW, which stood for River Odysseys West, in San Francisco. The brothers started off lean. Peter went and received his Oregon Outfitter’s license after training on the Rogue River, they used their small startup loan to buy a used school bus, a couple used rafts, and invest in some marketing. That winter, Peter worked as a waiter to get by and saw their company hit the papers in a San Francisco Chronicle article which introduced their “Grubb-stake.” As Peter tells it, they set out with little sense of businesses, a poorly defined business plan, and a drive to make it all come together. Throughout the first year, Peter and David relied on what they termed as “guerilla marketing” to campaign for their new adventure travel company. During the first rafting season, ROW took groups on three rafting trips down eastern Oregon’s Lower Owyhee and Grande Ronde rivers. Peter also spent time guiding for other companies, learning what he could and surveying North Idaho’s unrafted rivers in his down-time. In the off-season, Peter began what ended up as a 4-year endeavor to spread the ROW word by presenting wherever and whenever: Sierra Club chapters, service clubs such as Kiwanis and Rotary, natural history museums, and even people’s homes. It was an itinerant lifestyle driven by a dream. Business grew substantially between ’81-’86. 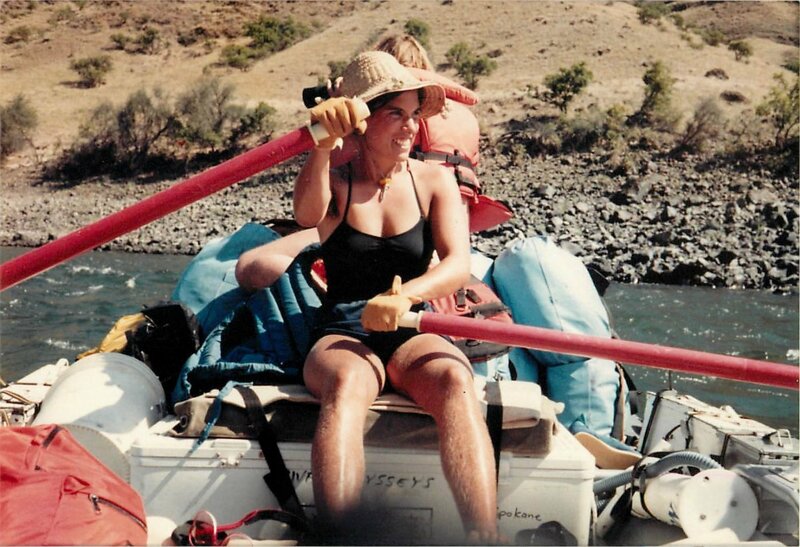 That first year we doubled from three rafting groups to six, taking over 50 guests down the Owyhee and Grande Ronde rivers. Peter had his eye on Idaho at that time, though he took off to explore Alaska’s wide open waters. He spent the summer tackling Alaska’s Chandalar, John, Talkeetna, and Kobuk Rivers…and coming to realize that perhaps he should be looking at rivers worldwide rather than stateside. Peter returned from the Alaskan hinterlands to find a waiting license from the Idaho Outfitter and Guides Licensing Board, a critical turning point for ROW that opened up the Salmon River, the Upper Owyhee, and some other rivers in N. Idaho. He also met Betsy, his wife-to-be, during the fall of 1981 when she applied as a guide. Since Betsy first picked up a guide paddle, she’s been vital to the heart and success of our company (and Peter). During this time, the ROW family grew and grew, our fleets began to float en masse down rivers of the northwest, and Peter’s vision for ROW continued to evolve. Love tends to change everything, and that proves true with ROW’s trajectory to its Adventure Unbound future. Peter and Betsy honeymooned on a yacht in Turkey and Greece—along with eight former guests who wanted to hop on a ROW adventure. Betsy and Peter stayed on another month exploring Cyprus and Turkey. They returned from this trip so galvanized with global wanderlust that they repeated the pattern every year for the next eight years: skipping over to the Mediterranean to lead tours in the rafting off-season and then continuing on to visit new destinations in their own time. Thus began our international tour division and a new meaning for ROW: Remote Odysseys Worldwide. Our yachting trips in Turkey and Greece soon took off and became such a success that we followed them up with our first yachting trip in Croatia (then Yugoslavia) in 1988. 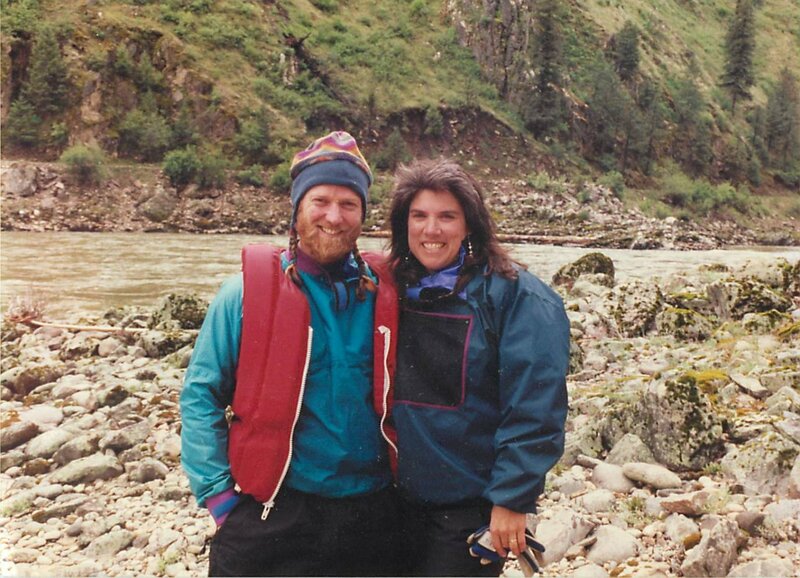 By the 1990s, ROW began to expand beyond rafting trips with outdoor ventures with cruises, kayaking, hiking, and multi-sport activities. On the American rivers, we added our Snake River in Hells Canyon tour and rafting on the Middle Fork of the Salmon, the latter of which has become America’s foremost alpine wilderness rafting tour. On international waters, we saw the addition of a barge cruise in France, many South American offerings with rafting trips in the Amazon basin on the Río Upano, Andean highland tours, and our leading Galápagos cruises. With the call of the trail constantly leading us forward, our company continues to expand into new adventure frontiers. Over the last two decades, we’ve seen the creation of the River Dance Lodge—Idaho’s Outdoor Adventure Resort—for glamping lovers, our campaign to conduct the first-ever Galápagos land-based sea kayaking adventure, the proud moment of becoming the authoritative active tour operative in Cuba, and delving into the wide-open world of adventure with Adventure Unbound. We’ve been quite busy seeking out all that is wild and scenic in the world in order to share it with you. For decades, we’ve carefully crafted adventure travel tours in the spirit of Adventure Unbound. Adventure Unbound and ROW’s signature line of “Unbound” tours may owe its origins to The New York Times’ titling our premier Galápagos trip as “Galápagos Unbound” in 2006, but we’ve embraced its essence. Now, our abundance of thoroughly researched, personally crafted tours have a home in Adventure Unbound. Peter and Betsy, along with their children, continue to invest their time, passion, and knowledge in Adventure Unbound. Since the company’s founding, its mission of “Sharing Nature—Enriching Lives” has served as a framework for creating life-changing, meaningful adventures that both share nature and keep it beautiful. We invite you to join us and our passion for exploration. Take some time to browse our wide selection of active adventure travel options and share a campfire, a story, and an adventure with us.